Good morning, thank you for inviting me to speak here today. The Advertising Association is the voice of our industry in the UK – our role is to promote the role, rights and responsibilities of advertising right across the country. Our members come from media owners, brands, and agencies drawn from across the advertising and media landscape. These include many household names you will all be familiar with. So, let me tell you about how we as an Association and as a sector worth over £130bn each year to GDP are promoting and protecting our industry. I will also share more about the work we are doing to stay true to our values during a period of great political, social and technological change. Principally, our work to drive economic growth, to be a positive force in society and to build on our status as a world-class advertising hub. Our undeniable strength comes from our position as the global hub for the world’s advertising industry. We have an amazing array of creativity and ingenuity in our country. Work by Credos, the advertising industry’s thinktank, in its Ad Pays series has shown every £1 spent on advertising contributes £6 to UK GDP. Businesses spent over £22bn on advertising in 2017 and we expect that number to rise again, ahead of inflation, this year. As a result, our industry supports the jobs of nearly 1 million people across the country. But more than jobs and contribution to GDP, it is the quality of our work that puts us in such a strong position. Since 2005 the UK has won more Cannes Lions than any other European country – over 1,500! At a time when the Government is focusing on global trade opportunities for British business, UK advertising is already ahead of the game. We are supporting this drive for growth on the world stage. The latest export figures from the Office for National Statistics show an increase of 35% for UK advertising on the previous year, taking our export figure to £5.8bn. Worth noting, this outstripped overall UK service exports, which grew by 7% in comparison. We export more ad services than we import – to the tune of £2.9 billion – that’s the largest trade surplus in advertising services in Europe. Demand for our services continues to grow throughout the world – doubling in less than a decade. “Made in the UK” has truly become the hallmark for global ad excellence. This performance would be a source of pride for any industry. And it’s also important to recognise that we are living at a time of huge change for our industry, as is evident in the large proportion of adspend now going online and into the digital sphere. This has been a fundamental shift over recent years and the market has had to adapt accordingly. And our influence on the world’s advertising industry ensures we have the most diverse talent pool to be found anywhere on the planet. This was evident in a project that Credos recently undertook in partnership with LinkedIn. In late 2017, we examined the advertising and marketing industry here compared to other international hubs using LinkedIn’s membership data. Other hubs included Sydney, New York, Paris and Amsterdam. The analysis identified 328,000 people working in UK advertising and marketing – around 141,000 of them employed in London. The results gave detailed insights into how international talent plays an integral role in the UK’s creative success. But also that the UK is a key exporter of talent to other advertising hubs worldwide. This is crucial as we approach Brexit. We are faced with widespread uncertainty around talent moving to and from the UK after we leave the EU. As you can see from these figures 37% of new arrivals to UK advertising are from the EU. The proportion of our workforce in London that had migrated here from abroad in the 12 months prior to the research gathering was higher than the figures in New York. It was also higher than in Paris and Amsterdam. More than a third of this talent came from within the EU, with many others arriving from the United States and Australia. 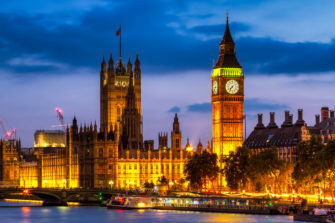 Unsurprisingly, London is a magnet for advertising and marketing talent. As Brexit approaches, the AA is determined to fight for our international colleagues to retain our position as the global hub for advertising. The impressive performance and the success of our industry is also based on a fundamental pillar: trust. That is trust on the part of the consumer in our industry. The AA’s President and Unilever CMO Keith Weed recently said that a brand without trust is a product. Consumer trust is crucial to brand value and so our value as an industry. If consumers don’t trust the brand, and the image it conveys through its advertising and marketing communications, they won’t choose that product or service over another. That’s essentially why companies invest in building their brand image through advertising, to gain competitive advantage in whatever sector they operate in. The most consistent long term measure of public sentiment towards advertising we take is favourability towards the industry ‘in general’. Unfortunately, that favourability has been in long-term decline. The question has changed over time, though it has been asked in some form since the 1960s. Despite these changes in methodology, the trend in public approval in each question period has trended downwards. If this trend continues then, there is a clear risk that commercial communications will become less effective. It weakens our position and the advertising industry will be vulnerable to unwarranted regulation that could limit the ability of any business to advertise freely with responsibility. ‘Declining trust in advertising’ is often used to describe this erosion of approval. But favourability rather than trust is the most consistent long term measure of public sentiment available. The Advertising Association has also been measuring levels of public trust in advertising since 2011. A comparison between levels of favourability and trust over this period, reveals an almost identical pattern. Decline, though with a recent but as yet unexplained uptick as public trust in advertising has increased slightly over the past two years. Despite this trust in advertising is still lower than any of the other industries we measure and against and the recent increase has been significantly lower than many of these industries, including banking and energy. Between 2014 – 2017 the level of public trust in advertising increased by 26% compared to 64% for banking and 56% for energy. Two possible consequences of a negative public perception of advertising are generally cited. First, that if people dislike or distrust ads, they will be less moved or persuaded by them. Second, public unpopularity gives strength to cries for greater regulation, as politicians will be more willing to respond to such calls. Credos, led by my colleague Karen Fraser, has recently undertaken a project to thoroughly investigate this issue. The thinktank set out to explore public perceptions of advertising by employing a mix of qualitative methods, including a ten-day advertising diary and filmed ethnography. The findings of this research suggest that favourability towards our industry can be affected by many factors. These factors range from trivial matters of personal taste to serious matters of public concern. We will be sharing more on our research and the actions we plan to take at our annual industry summit, LEAD, in January, so I hope to see you there. I believe that maintaining our values and being a trustworthy and favoured industry in the UK is integral to helping our country succeed, supporting businesses and jobs wherever we can. With this in mind, we are undertaking two major initiatives to boost growth across the UK. 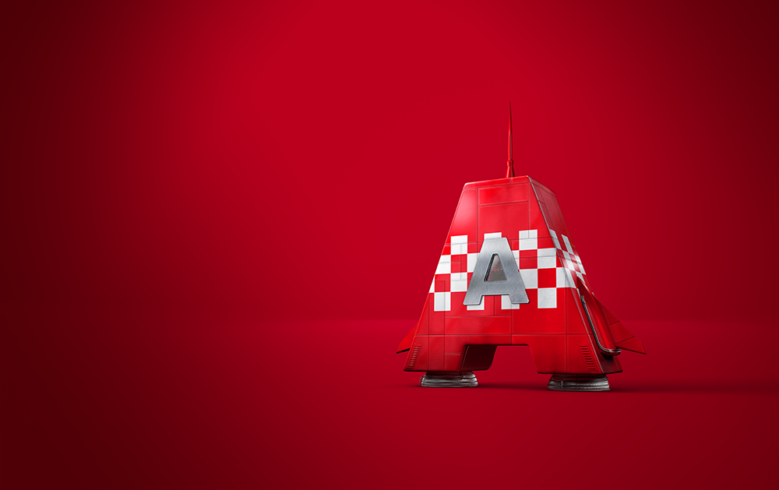 The first is AAccelerate, a scheme to encourage more SMEs to advertise and, by doing so, grow their businesses. We launched AAccelerate earlier this year in support of the Government’s goal to spread economic growth and opportunity right across the country. Our research shows that 43% of SMEs in the UK advertise but make-up just 18% of UK ad spend. Yet, we know that for every £1 spent on advertising, there is an average of over £3 increase in profitability. These results are even greater amongst the SME community. £1 can benefit an SME eight times as much as a larger business. To help more businesses to grow quickly, we have launched pilot initiatives our AAccelerate programme in Scotland and the West Midlands. Successful SMEs undertake a multi-channel advertising campaign which will run over several weeks. Our SMEs all have different objectives and aims from the campaigns. At the end of the campaigns, the SMEs will receive a bespoke evaluation. This will show them how their campaigns have worked and where the most impact was delivered. We aim to expand this project across the UK. AAccelerate will help SMEs across the regions of the UK boost growth in their communities. Our aim is that as well as boosting local economies it will help to demonstrate the positive power of advertising for the next generation of successful UK businesses. But as well as bringing the best of UK advertising to bear within our Nations and Regions, we know our industry can be a beacon for the world. Earlier this year we launched Promote UK. This is an industry group formed to support the UK’s position as the global centre of excellence for advertising. This is all the more pressing as the post-Brexit transition period approaches. 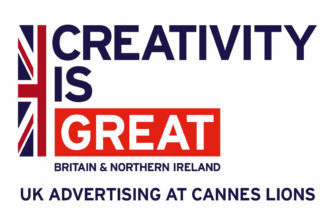 Promote UK, made up of over 30 companies from our industry, is working directly with DIT to ensure UK advertising plays a central role in the GREAT campaign. The group’s objectives are to raise awareness of UK advertising worldwide among international buyers of advertising and marketing services. Quite simply, we believe you haven’t bought an ad, unless you’ve bought a British ad. Advertising and marketing services will be included in DIT Foreign Direct Investment pitch presentations across all sectors. We have promoted UK advertising at industry festivals and events across the world, most recently in China. Next up is a trade mission to the West Coast of the USA, and next year we will be much more visible at events like SXSW, the Shanghai International Advertising Festival and Cannes Lions. We welcome all members of our industry to find out more about this and to get involved. The economic interest in promoting exports of UK advertising exports is important. But so is the societal benefit of promoting the values of UK advertising around the world. We want our industry to be recognised as the most innovative and inclusive in the world, underpinned by a strong and effective regulatory system that others should follow. Concerns surrounding trust are not just restricted to the relationship between advertising and the consumer – whether domestic or international. There is the crucial issue of trust and values within the industry itself. It is vital that we also face into to this. We are living at a time where the spotlight has rightly fallen on sexual harassment. We have seen with the global #MeToo and #TimesUp movements, a confident refusal to accept the status quo and to expose wrongs to make a better working environment for all. Earlier this year, the Advertising Association, WACL and NABS – the charitable organisation for the advertising industry – joined together to launch the timeTo initiative. This was a recognition that all parts of our industry are affected by issues of sexual harassment – all sexualities and genders, agencies, marketers and media-owners. By taking action together, our industry will be better placed to make positive change to end sexual harassment. Action so far has included an industry-wide study, led by Credos, which established the current level of sexual harassment across the industry via the responses of over 3,500 industry professionals. Following this, we launched a Code of Conduct for those in the sector, which has now been signed by nearly 100 businesses. 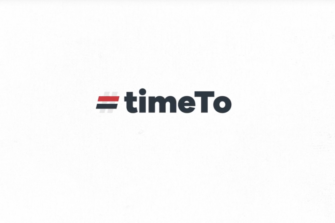 Today, 31 October, a new advertising campaign from timeTo has launched to eradicate sexual harassment in the advertising industry. This asks the viewer “Where Do You Draw The Line?”. The multi-platform advertising campaign with creative developed by Lucky Generals is designed to help people think for themselves about where the line is crossed between normal conversation and interaction and something potentially more sinister. Examples of familiar scenarios to people in the UK advertising and marketing industry will appear in the coming weeks and months across a range of different media, including broadcast, out of home and social media channels. The campaign has received unprecedented support from across our industry media. Editorial and publishing leaders have come together from the likes of Ad Week Europe, Campaign, Digiday, The Drum, Little Black Book, Marketing Week and Mediatel Newsline to support timeTo. Maintaining a strong set of values in our industry means intervening when the time arises. We should not be afraid of calling out either poor campaigns or poor behaviour. Indeed, it’s our duty. We must promote the best values we can in British advertising, all the more so in controversial areas. Take gambling for example. The advertising codes rightly require gambling advertising to be socially responsible. In 2017, industry proposed a package of measures around advertising in response to the 2016 review of Gaming Machines and Social Responsibility Measures. We, together with the broadcasters, the Remote Gambling Association, Senet Group and Gamble Aware drew up proposals for a major media campaign to promote responsible gambling behaviour. This aims to run for two years with a budget of £5-7 million in each year. The Gambling Commission and GambleAware will also encourage social media companies to develop user-friendly guides on how individuals can change their settings or preferences to limit their exposure to gambling advertising. Another key issue in the media today is high fat, salt and sugar food and drink advertising. This is a complex subject and the reasons behind childhood obesity are multi-faceted with factors including income inequality, levels of educational attainment and ethnic origin. Advertising has come under fire for its perceived influence on children’s diets but the rules on advertising to children are clear. No HFSS advertising can take place in any setting where under 16s make up more than 25% of the audience. This includes online and on social media platforms. Likewise, in the out of home sector there are restrictions on the distance surrounding schools where HFSS products can be advertised. Companies are also doing work themselves. ITV’s sponsorship of the Daily Mile in schools is a great example of a simple, cost-free and inclusive project. It not only has an impact on obesity levels, but improves behaviour, academic performance and children’s wellbeing. This is exactly the sort of partnership needed to tackle Britain’s obesity challenge and our industry is ready to work with Government. Looking more widely, we might be leaving the EU but pan-European initiatives such as GDPR, and the ePrivacy Directive will still be important to show consumers that industry is on their side. This is especially important as we continue to move forward into a more digital future. However, it is also up to us, as advertisers, to advertise the benefits of these changes to consumers. Instead of being a slightly annoying box to tick on a screen or acknowledging some wordy disclaimer, consumers need to know how these changes benefit them. If we don’t make people aware both of their rights as individuals and of the values we hold as an industry, then how can we blame them if they think both are lacking? A vital way that we uphold both rights and responsibilities in our industry is through our regulatory bodies. Most crucially the Advertising Standards Authority. The ASA was founded at the beginning of the 1960s as recognition rose of the need for a regulatory body for the industry. There is a tendency among people to sometimes confuse the ASA and the AA due to their similar initials, but the two are separate organisations. The advertising industry – clients, media and agencies alike – has long supported the ASA system. It includes a mix of self- and co-regulation, evidence-based Codes, independent judiciary and expert people. Industry funds it all through the ASBOF levy to ensure a capable and effective regulator that maintains a high standard of consumer protection. On 1 November, the ASA is launching its new 5-year strategy at a conference in Manchester. As we are all aware, we are living a time where technology and methods of advertising are changing at breakneck speed. The new strategy sets out how the ASA plans to keep up to speed with these changes and ensure its mix of self- and co-regulation continues to contribute to a successful, trustworthy advertising landscape. But just as the opportunities for advertising have grown so has the caseload of the ASA. It is important that the body is able to sift out complaints that might not be substantial or might stem from a consumer’s own personal dislike of an ad campaign. If the ASA is to remain the best body of its kind in the world, it should be able to operate in the most agile way possible to be fit for the future. The new strategy will enable it to achieve these goals and, we as an industry, are committed to helping it succeed. The ASA was designed originally designed to provide a one stop shop for consumers to complain about ads scheduled on TV programmes or placed in publications. Yet, the ASA caseload per annum has increased hugely. Over 80% of ads amended or withdrawn by the ASA in 2017 were wholly or in part online. Around 50% of its activity is accounted for by organisations’ advertising claims on their own websites and social media spaces. In effect, what you might call advertiser-owned advertising. The ASA’s remit is expanding and its goal to be the world’s leading self-regulatory body for digital advertising by 2023 is one we must all help it achieve. Our industry has also created mechanisms to address concerns regarding data and e-Privacy. I am thinking here of initiatives such as Joint Industry Committee for Web Standards (JICWEBS) and the Trustworthy Accountability Group (TAG) – the two leading cross-industry standards bodies in this area in the UK and US. 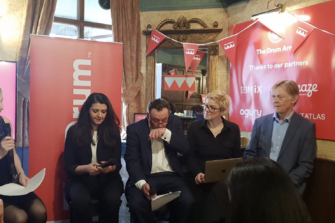 They are aligning many of their key initiatives to create a consistent approach to tackling the big issues facing digital advertising and to increase industry adoption. Most recently, they announced the adoption of the TAG ‘Certified Against Fraud’ programme in the UK from 1 January 2019. Regulation of all these areas is complex, and despite initiatives like JICWEBS and TAG, our industry cannot rest on its laurels and leave all the work for regulatory bodies. Consumer trust depends on agencies, brands and media owners doing the right thing and taking responsibility – in short that means us supporting the ASA to deliver its 5-year strategy. I firmly believe we can maintain the high values of UK advertising by working together. UK advertising is world-class. We are the global hub for the industry. We have an unparalleled concentration of ingenuity, creativity, and talent. The forthcoming changes in the UK’s place in the world posed by Brexit must not be allowed to inhibit this status. We must retain access to the world’s best, so that we remain the world’s best. And our success and exports to the wider world should be measured not only in revenue and advertising services, but in our role as a beacon of truly diverse representation, tackling trust and implementing effective self-regulation. We must also recognise that any trust placed in us by UK citizens depends on being seen as a good corporate citizen. This means we should do our utmost to encourage diverse UK talent into our ranks too, especially from those regions and areas that have felt left behind. We have to arrest the decline in trust and favourability that I have demonstrated to you in research today. This means that as well as being seen to be inclusive to all, we should address the moral and societal implications of what we do. We should address concerns regarding bombardment and poor production of ads, as well as those surrounding vulnerable groups. But it is vital that we behave responsibly within our industry too. Any organisation or industry can only maintain its values externally if it practises these virtues internally. That’s why the timeTo initiative against sexual harassment is so important to me and why I am so keen to see your support for it too. We will continue to support the ASA system of co- and self-regulation. As I have said, the ASA is the gold standard worldwide. I am confident it will remain so with the backing of our industry as it faces a changing advertising landscape, especially in the realm of online and social media. By acting together, we will maintain the high values of UK advertising in the years ahead and adhere to our founding principal of acting for the cause of “better business and social service”.